Vandoorne has struggled in his first full season in Formula 1, falling well short of his team-mate Fernando Alonso. Boullier, though, did add that he expects Vandoorne will find his feet sooner rather than later. That is a sentiment echoed by McLaren chief Brown, who reckons in Vandoorne the Woking has a possible future World Champ. 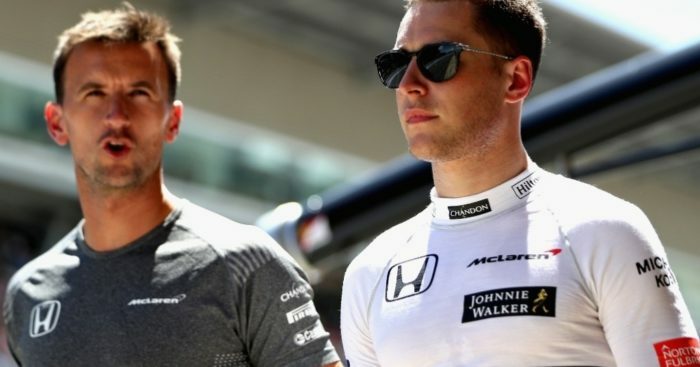 “We’re happy with Stoffel,” he told Sky Sports F1. “He’s in a difficult situation going up against Fernando Alonso and then the lack of reliability, Fernando can adapt to a lot of these issues quicker than Stoffel.